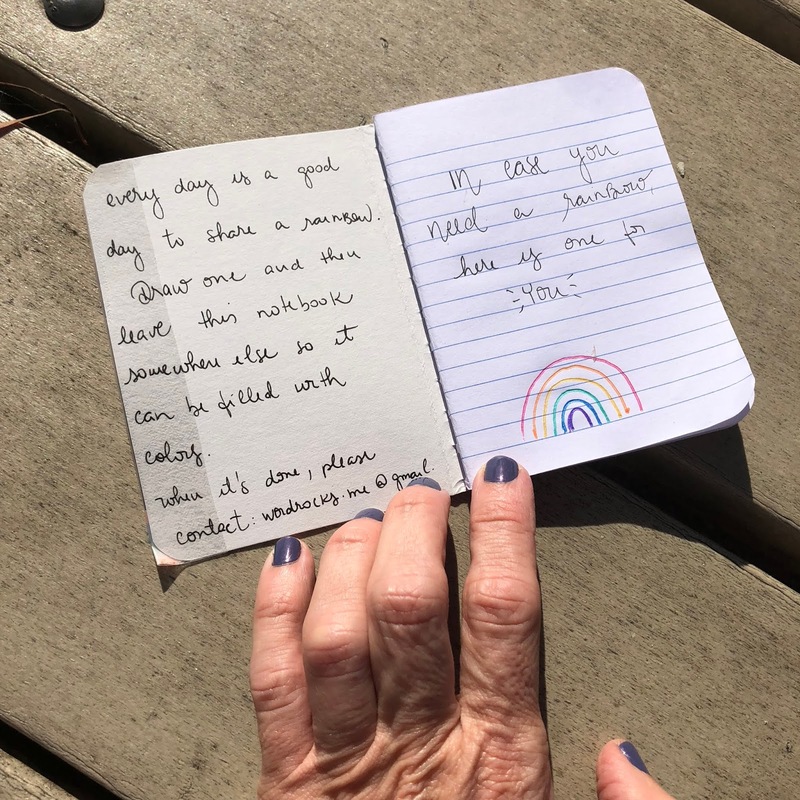 This a reedition of my Love is Action notebook, created two years ago, to invite people to get connected through art. Recently, I've been learning so much during my Art Therapy coach classes about how much art is powerful! It encourages creative thinking, relieves stress and boosts self-steam. Studies also show that the simple fact of viewing art increases empathy, tolerance, and feelings of love. Since then I'm thinking more and more on ways to use art to connect people. The idea of my Share a Rainbow notebook is to inspire people to create at the same time they can appreciate other people's art, even if it's a simple rainbow. Art + kindness are powerful reminders of how beautiful humanity can be. You'll only need a few mini composition books to start the rainbow collective art. 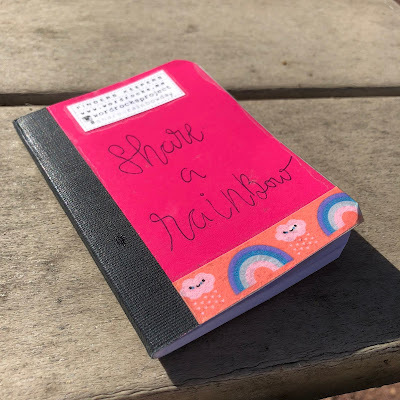 Click HERE to get the notebooks (affiliate links for your convenience) and start sharing rainbows today! For more ideas, follow Instagrams accounts Word Rocks Project and Share a Rainbow Day.